For the 8th time in a row the golfing public has a new first time Major champion, and we have our second Watson (no relation to Tom) to win the Masters. I waited until Tuesday to let everything from Masters Sunday to settle in before I posted the Final Round recap, so that I could reflect on everything that happened. Bubba Watson birdied four holes in a row, and in my opinion hit the shot of the tournament (his second on the 10th in the second playoff hole), a 35 yard hook PW from the right trees/pine straw to 9 feet. To hit a shot like that, under the pressure that he was in (even with Louis missing the green) it was amazing and will be remembered as the shot of the event (it did win him the Masters, if that is not worthy of the shot of the tournament I do not know what is). Now I know what you are thinking: “What about Louis’s 2 on the par five second hole?”. Well, I think that is a shot that will go down in Masters history, and people will always associate that shot with Louis, and the Masters that he didn’t win. I believe that the shot of the tournament, should be the shot that wins it for you, not one that puts you in the position to win, or makes you part of Masters history. Why did Phil try to hit that shot from the bamboo tree on 4? I know Phil is the gambler, and he takes chances, and you can’t get big results without taking some big chances. However, does anyone else think that may have been an unnecessary risk. A risk that ultimately caused him the tournament. Arguably Phil played great after the 4th hole to get back in to contention. But without that triple bogey 6 on a par 3, he would have been the leader of the pack, and I am not sure that what happens if Phil is in control of the tournament rather than Louis. Was Louis Oosthuizen’s albatross a jump start or possibly a rocky start? I know I know, how could being three under on one hole be a bad thing. That shot took him from in the hunt, to the man to beat. But for any golfer out there who has made a hole in one, or possibly their first birdie or eagle, sometimes it is hard to follow that hole up with another good one. You have peaked at the top of the mountain for that day, and there is no where to go but down. Louis played the rest of the day even par fro the second hole. He makes an eagle there, and it jump starts his round, but it doesn’t rock the boat so much that he has to compose himself. Just a thought…. Can you cry too much as the Masters Champion? There has been some jokes or Bubba bashing about his inability to hold it together after the win. I personally found Bubba’s reaction to the Masters much like I would imagine myself, so overwhelming that one breaks down. Bubba won, and Bubba broke down. But he did so with class and openness that most people in the public never share with the public. I personally liked his reaction, and I think he is going to make a very unique and fun Masters Champion. Thats my Masters recap, and I hope you enjoyed your Masters week. I think the Masters is the must see Golf TV of the year, and only at Augusta can you see the best in the world play the best golf us mortals can only dream of. Until next year, and a new Masters Champion is crowned, good luck Bubba, and look out US Open. 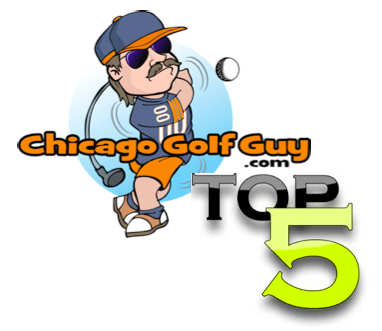 Next Where to go for a Chicago Golf Vacation: The Insiders Guide to Golf in Chicago.